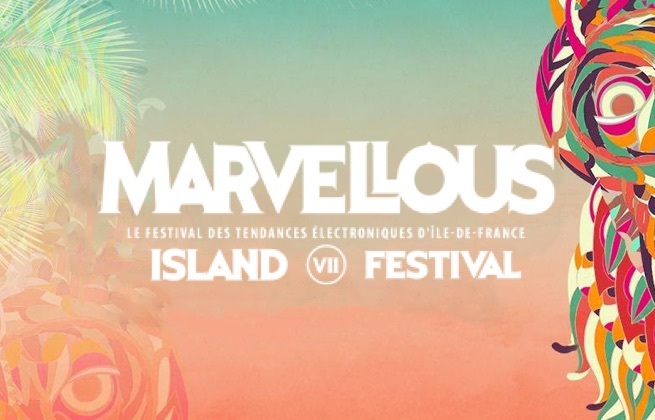 This ticket gives you access to the Marvellous Island 2019 both days on Saturday, June 8th and Sunday, June 9th. This ticket gives you access to the Marvellous Island 2019 on Saturday, June 8th only. This ticket gives you access to the Marvellous Island 2019 on Sunday, June 9th only. This ticket gives you access to the campsite and guarantees you a place to install your tent and necessary equipment. This also gives you access to hot showers, toilets and battery recharging facilities. This ticket does not include any supply of camping equipment. This ticket is a complement to the Adventurer formula, and comes with the necessary equipment to ensure a comfortable stay: - 1 x Tipi of 14m2 (4.5m diameter & 3.5m height) for 5 people maximum - 5 x Mattresses (1 per person) (foam 10cm thick) - 1 x solar-powered lamp - 5 x Access Bracelets to Tribe Tipis For the formula Tipi Weekend, a deposit of 100 € in cash will be requested upon your arrival and will be refunded upon your departure. This cheap and comfortable hotel is a great ideal for tourists wishing to discover Paris or spend an unforgettable day at Disneyland just 3 stops away by RER train. 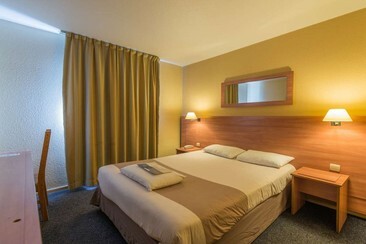 B&B Hôtel Marne-La-Vallée is also located in Torcy, 22 km from Paris and 15 km from Aquarium SEA LIFE. It allows easy access to Chateau de Champs-sur-Marne and Golf de Bussy-Guermantes, just 5 km away. Simply furnished rooms feature complimentary Wi-Fi, flat-screen TVs and air conditioning. Family rooms sleep up to 4 people, some come with bunk beds including a private bathroom equipped with a shower and free toiletries. 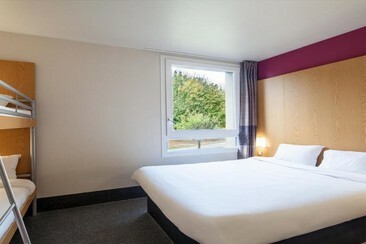 Hotel Kyriad Marne-la-Vallée Torcy is located in the heart of Marne-la-Vallée. This modern hotel is 18 miles by car from Paris Center (30 min on the RER A train). The station is opposite the hotel, which provides direct access to central Paris and Disneyland Paris. It is a 2-minute walk from Bay 2 Shopping Centre. You will get a warm, friendly welcome at hotel Kyriad Marne-la-Vallée Torcy where the 3-star hotel offers 85 rooms for 1 to 5 people, allowing families and professionals to stay in rooms adapted to their needs. The hotel is accessible for people with reduced mobility and has 5 specially adapted rooms. The hotel offers all the services you may need: free parking for your convenience, a restaurant with a menu that changes every two weeks, and a small lounge to relax. Guests can enjoy a drink and relax in our lounge bar. This property also has one of the best-rated locations in Torcy! Held annually on the Plage de Torcy in the east side of Paris, Marvellous Island offers a festival experience like no other. Bringing a consistently impressive lineup of techno and house each summer, the festival's waterside location is the perfect escape from the hustle and bustle of the city. As well as its strong billing – this year Marcel Dettmann and Nina Kraviz head proceedings – Marvellous Island is renowned for its creativity and magical visual allure, imaginatively designing and decorating its site and stages to visualise the festival's enchanting theme. Plage de Torcy's beautiful beaches and parkland to the east of Paris is the perfect location, giving festival-goers the chance to kick back on its sands or ride pedalos on the lake between raving.